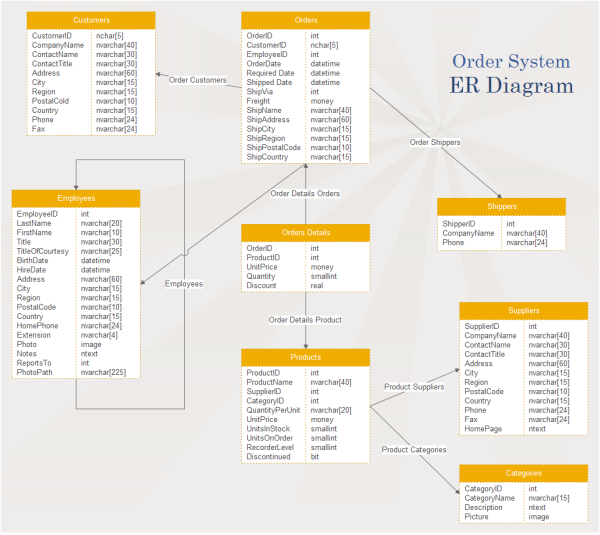 A collection of editable and printable ER diagram templates and examples are provided for free. From these templates, you can also get built-in vector notations and symbols for ER diagrams. What do these ER Diagram templates do? Well, you might not really use them while you are designing relevant ER diagrams. But from the examples you can recognize what kind of symbols and notations are included in the software and what results can be gained. Actually, the diagrams you see below take only a few minutes to finish. Using Edraw ER diagram software can greatly save your time and let you focus on more important work. There might be people who really need the materials either as a quick start template or as a guide. Then you can click on the picture to get access to the download page and open. Each time you open an entity relationship diagram template, the corresponding notations and symbols will be open accordingly. If any of the templates happens to be the one you desire, just do some modification to make it yours, very easy. When you finish, you can export the diagram to a desired format with a single click. Edraw supports special Martin ER diagram notations, such as one to one, one to many, many, one or more, one and only one, zero or one, zero or many, etc. 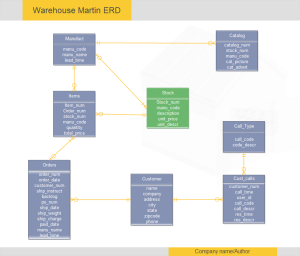 Learn more details about Martin ER diagram symbols in Martin ERD Symbols. With these easy to customize symbols and flexible drawing tools, you can make any kind of Martin ER diagrams fast and easily. 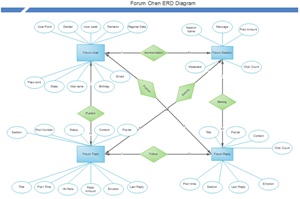 Have a look at this forum system ER diagram for more inspirations when you make your own ER diagrams. It's easy to customize and free to download. With Edraw, you can easily set the connector type, arrow style, line weight and dashes in the ER diagram. With one click, you can select all the connectors and personalize them at the same time. To learn more, you can watch the video - Connect Shapes. Express-g diagram is also a commonly used ER diagram type. It is a standard graphical notation for information models. From Edraw express-g diagram library, you can get extensive data type symbols of the express-g notations, such as entity, enumerate type, select type, boundary, pointer, cardinality, inverse cardinality, normal relationship, etc. By a few clicks of drawing and dropping shapes, connecting with smart connectors and personalizing the drawing through professional theme gallery, you can gain a quality express-g diagram, without the need of drawing skills. 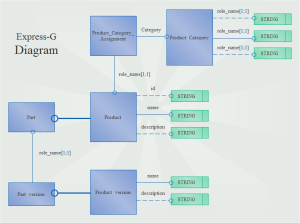 Feel headache with the complicated symbols in ORM diagram? Not the situation with a correct ORM drawing tool. Edraw is trying its best in simplifying diagram designing work. 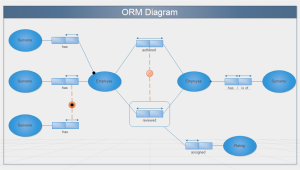 By pre-drawing every single symbol used in ORM diagram, users can save a huge amount of time. Well, this is not enough. There are a lot of small techniques and short cuts as well. Download and discover how user-friendly this tool behaves. Though looks complicated, this Chen ERD diagram is finished in less than 5 minutes. The symbols you see in the diagram, including attribute shape, entity shape, relationship shape and the connectors, are all pre-made in the Chen ERD diagram library. What you need to do is just drag and drop. The layout process is easy, too. Edraw has a lot of quick buttons. With just one click, you can align, distribute and same size multiple shapes. 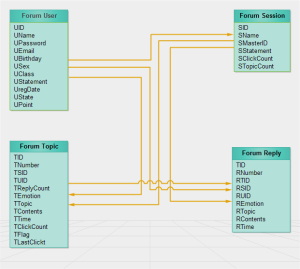 Discover why Edraw is an excellent program to create orm diagram. Try Edraw FREE.